In need of a reliable Bellingham plumber? Get in touch with the experienced professionals at Eagle Plumbing & Heating. Call us today at (360) 318-9999. Click here for discounts and savings on several of our valued services. You have found your go-to plumbing company! The trusted professionals at Eagle Plumbing & Heating work hard to provide the residents of Bellingham and the surrounding areas with expert services that ensure the safety and efficiency of your home. Whether you have a stubborn clog, a broken gas line, a malfunctioning heating system, or want to completely remodel your bathroom or kitchen our plumbing and heating specialists can do it all. 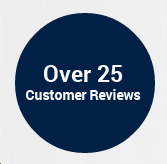 To read reviews from other customers in your area about our exceptional plumbing and heating services, click here. What separates us from other plumbing companies? We go above and beyond normal expectations, and believe that the key to great service lies in how well we treat our customers. Our personable professionals take great pride in their work, offering quality and cost-effective solutions to every problem. If you are not completely satisfied with our workmanship you don’t have to pay us a dime. We value your business and show our appreciation by treating our customers like friends. A sense of humor and an unwavering quest for perfection goes a long way in establishing lifelong relationships with our clients. Our knowledgeable team offers an eagle eye on quality. From simple repairs to major installations our outstanding performance speaks for itself. In addition to our guaranteed customer satisfaction, we also offer 24 hour emergency service 7 days a week to the residents of Bellingham and the surrounding areas, because our caring professionals understand that some problems just can’t wait. The certified professionals at Eagle Plumbing & Heating want to help you to avoid plumbing emergencies at all costs, but if disaster strikes you can always count on our speedy arrival and efficient service. For incomparable customer service, contact the skilled professionals at Eagle Plumbing & Heating. Call us today at (360) 318-9999.